How much will be the Maya of Mayawati in Karnataka elections? 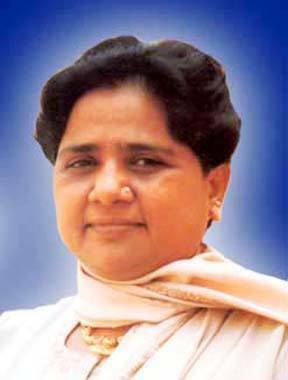 Mayawati Naina Kumari is the present Chief Minister of Uttar Pradesh. She was born in New Delhi on January 15, 1956. Political developments in Karnataka have been gathering pace. The established political parties have been coerced to reformulate their strategy due to Mayawati's recent visit to Bangalore. Unlike other parties, which tend to exploit certain communities or certain sections of the society, Mayawati typically tried to carry all, irrespective of their religion or community or caste, to capture power in Karnataka. With an astrological view let us try to gauge her impact on the upcoming Karnataka elections. Moon-Saturn conjunction and Saturn becomes Yogakaraka planet in her chart makes her shrewd politician and expert in policies and strategy through which she won many elections. Jupiter in Own Sign and forming Gajakesari Yoga gives her name and fame. The Exchange of Sun-Ven make her chart very powerful and denote her power and authority. She would be running Saturn-Sun period during the elections in Karnataka. The sub-sub period of Moon would be in force. The sookshma of Saturn would run during the first phase of Election. Saturn is Yogakaraka planet and powerful in both D-9 and D-10 charts. Moon is exalted in Navmansa and placed in the Ascendant of D-10 chart. The transiting Jupiter in trine with natal Venus-Mars looks in her favor. So she may force even the established political parties in Karnataka to redefine their poll strategy. She will definitely try to capture power in Karnataka, which is unlikely to happen in this poll, but Karnataka politics will certainly experience her presence and influence. BSP will expand support in Karnataka undoubtedly and may make the difference between failure and success for major political parties in the forthcoming poll.